Since the advent of virtual reality hardware, there's been a drive toward wireless. But the dream of an exceptional VR headset that doesn't tangle isn't quite there yet — the performance and graphics quality can't compare to wired systems. Facebook's Oculus seems to believe it has cracked the code, though. 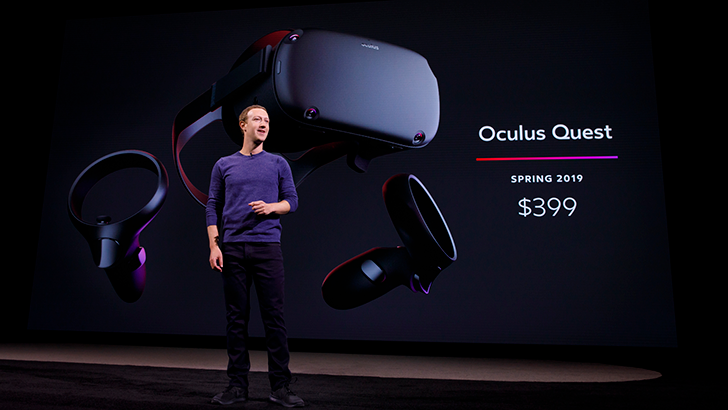 At Oculus Connect 5 (OC5), the new all-in-one Oculus Quest headset debuted with the advertising copy: "This is the VR experience everyone's been waiting for." 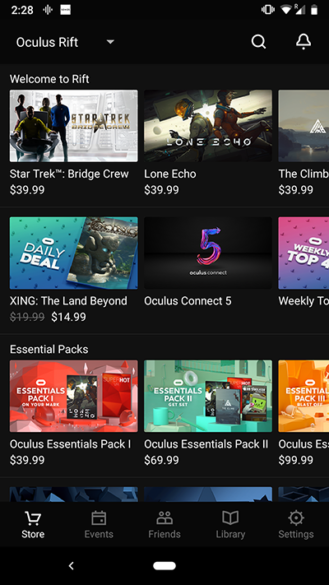 In addition to the new hardware, the VR headset maker announced that its mobile app now supports the Oculus Rift, and that Oculus Go will soon gain access to YouTube VR's full library. The Quest is Oculus' play at taking VR mainstream. It's priced affordably (relative to the industry) at $399 and comes with six degrees of freedom — meaning the headset tracks the position of your head, not just its rotation. This lets you move around, taking it up a notch from the Go and situating it closer to the Rift, which costs the same amount, but is wired and requires room sensors to achieve this same feat. The Quest headset comes with Touch controllers, and will launch with more than 50 games this spring. In other news from the annual conference, the Rift, Oculus' original hardware, is now included in the Oculus app, which formerly only served the Go. 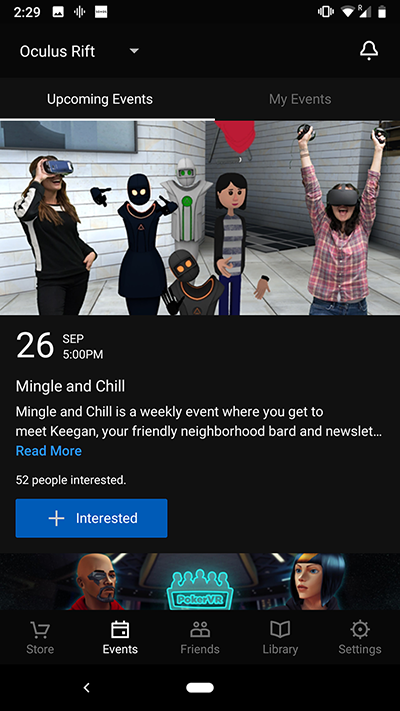 Now, users can make Rift purchases from the app, look at events, connect with friends, and view their library of VR games remotely. Meanwhile, the Oculus Go is getting a content injection through the addition of YouTube's entire library of over 800,000 VR videos. Immersive videos are ideal for the $199 device, since it offers only thee degrees of freedom, making it important to essentially stay in place or risk bashing into the nearest object. Access to the library is "coming soon," according to YouTube. For more on OC5, including the games announced, check out the company's blog in the source link below.